Yes it's Saturday....but I have to keep the headings in line and I did intend to post this last night but I was just too tired and with having to be at work at 6:00am I thought you would all forgive me for being a day late!! So what's the weather been like this week???? The temperatures have struggled to get above freezing all week and the only time they did on Thursday we again had some snow. I have to say I'm not a fan of the weather right now and haven't even visited the allotment though I'm sure it looks very pretty!! No winds to speak of though so there is a plus factor in there somewhere?!?!?! Last night was definitely the coldest by far and when I went out to go to work this morning it was -11degrres Celsius.......I really hope this doesn't last for long. I so badly want to get some allotment time in without freezing any of my appendages off!! I even remember one February when I had to cut my grass as it was so warm it had started to growing again!! A lovely stroll through the fields. 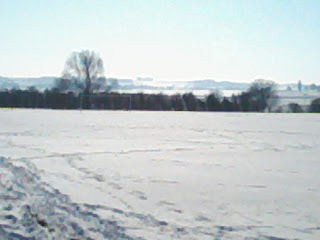 Anyway I did have to work today and decided to take the scenic walk home through the fields to snap a couple of pictures of our snow. It's not a huge amount but the children have found enough to sled and build snowmen!! Didn't take long to get home...just as well as I soon had VERY cold toes!! Hope the weather is being a bit kinder to you where ever you are....it is supposed to warm up slowly throughout the week so fingers and toes crossed for that!! I am so ready for spring to arrive Ann.....I just want to get back in my garden!! Our weather here has gotten cold for the past few days too, but we still have no snow. It will warm back up starting tomorrow though, so it looks like my mild winter will continue. I don't mind sending you our snow Ratty....we are predicted some warm weather now though so fingers crossed! You've certainly had more snow than us Tanya. But it has been cold. 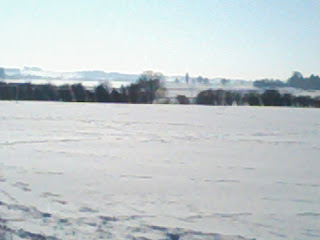 I wish we hadn't had so much snow....but such is winter I suppose. At least it will kill off any bugs in the soil!! 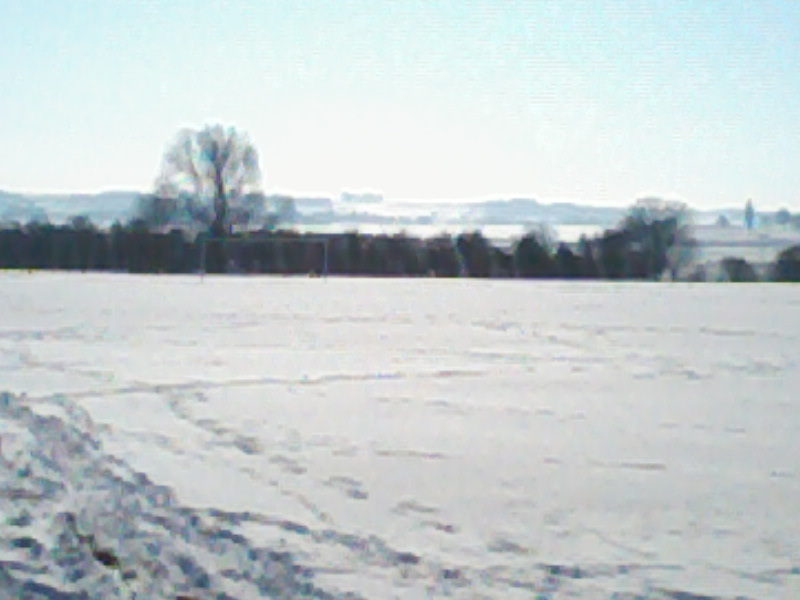 It's much warmer here today, the snow has actually started to melt, though there's still a bit around. Our weather has warmed up today to Jo...hopefully it will all have disappeared in a couple of days! That's what winter looks like! I'd forgotten...such a strange year for weather. A very strange year for weather...hopefully we won't have to look at it for too long though! !